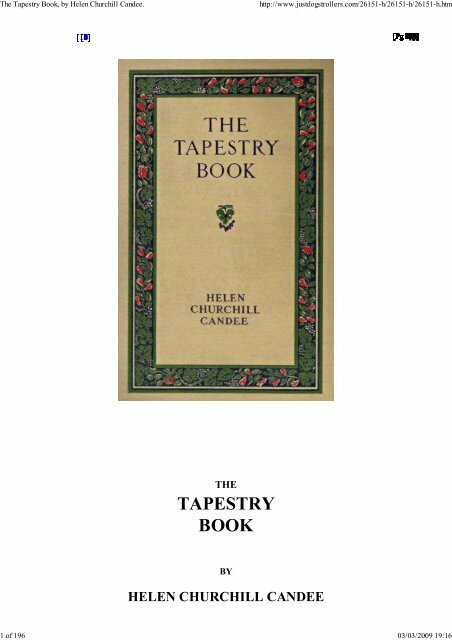 The Tapestry Book, by Helen Churchill Candee. http://www.justdogstrollers.com/26151-h/26151-h/26151-h.htm 190 of 196 03/03/2009 19:16 Months, The, 112, 133, 197, 212. Morgan, J. P., 40, 56, 59, 128, 196, 250. Morris, William, 257-261. Mortlake, 163-171, 197, 223. Mozin, Jean Baptiste, 109. Muses, 104, 141. Museums, Boston Fine Arts, 15, 46, 56, 238; Chicago Institute of Art, 47, 78, 221; Cluny, 44, 54; Gobelins (Paris), 92, 99, 252; Metropolitan (New York), 15, 40, 42, 52, 58, 59, 76, 80, 162, 170, 174, 176, 187, 210, 238; Nancy, 37. Mysteries of the Life and Death of Jesus Christ, The, 87, 208. Nancy, Museum of, 37. Nantes, Edict of; its effect, 95, 118, 157. Napoleon, 136, 142, 143, 144, 208. Napoleon Crossing the Alps, 144. Natoire, Charles, 151. Neilson, 132. Nineteenth Century, 255. Notre Dame, 21. Otho, Count of Burgundy, 32. Oudenarde, 221. Oudry, 131, 148-152, 257. Pannemaker, Wilhelm de, 62, 75, 220. Paris, 10, 28, 29, 30, 47, 51, 90, 98, 132, 163, 222, 229. Parrish, Maxfield, 264. The Tapestry Book, by Helen Churchill Candee. http://www.justdogstrollers.com/26151-h/26151-h/26151-h.htm 191 of 196 03/03/2009 19:16 Parrocel, Charles, 130. Passing of Venus, The, 259. Pendleton, Charlotte, 235. Penelope, 15, 16, 21, 227. Pepersack, Daniel, 99. Percier, 143. “Perse, à la façon de, ou du Levant,” 160. Persia, 19. Personages, 4. Perspective, 175-177. Pharaohs, 18, 57. Philip the Good, 36. Philip the Hardy, 22, 29, 33, 34, 35, 45. Philippe (Regent), 122, 128, 134, 148, 236. Pickering, Sir Gilbert, 171. Pius X, Pope, 9. Planche, François de la, 95, 96, 97, 107. Poitiers, 23, 154, 155. Poitou, Count of, 23. Portières des Dieux, 126.  Portraits, 133, 140, 143, 162, 253. Presentation in the Temple, The, 30. Quedlimburg Hanging, 25. Quentin Matsys, 58, 59. Raphael, 9, 64, 67, 69, 70, 71, 79, 84, 118, 119, 145, 169, 187, 189, 205, 207, 214, 216, 221.